Posted on October 22, 2011, in Uncategorized and tagged comfrey, feed, flowers, fodder, health, herbs, high protein, medicinal herb, medicine, natural feed, natural food for rabbits, plants, safe, tonic, vegetables, weeds. Bookmark the permalink. 14 Comments. Great blog so far. I have a plan to raise rabbits in the future. I just need to get the area built. I am glad you are on the self sufficient gardeners podcast. thanks, glad your choosing to raise rabbits! i was excited to do the podcast with Jason i think it came out great! stay tuned lots more to come! Good to know. 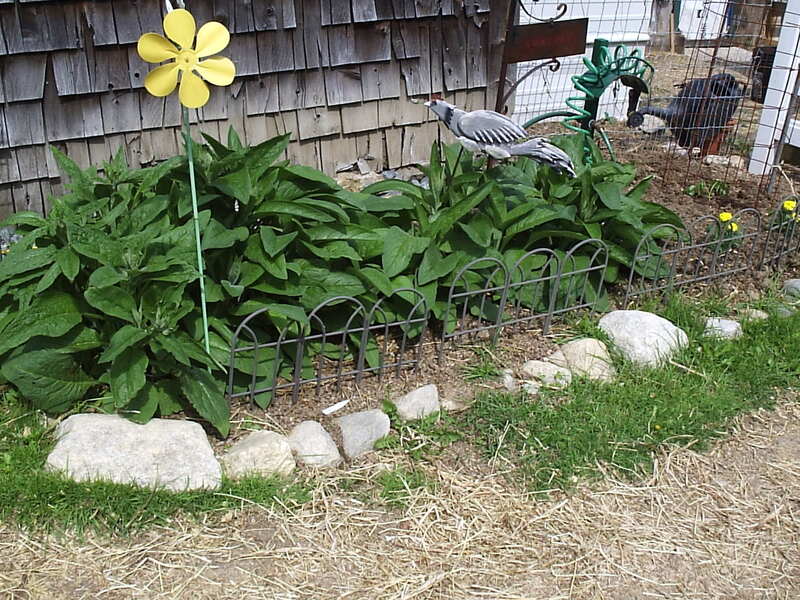 I really want to start raising some comfrey… and some rabbits. I used to raise them in 4-H club. I’d like to use it for my 4 month cashmere mini he had a spinal injury. Would it help? Usually in the case of a spinal injury most rabbits are culled, If it is a pet and the rabbit is not paralyzed the best thing would be some willow branches. This helps with inflammation, Also some Comfrey, do not overfeed the comfrey great as a treat or tonic. Hope this helps you out thanks for reading. How often or how much comfrey can one rabbit have? Depends on the rabbit, some rabbits can eat as much as they want and some other may get loose stools from too much. I always start with a few leaves and see how they do, but I always feed more to nursing does and rabbits in a molt. My Angoras rabbits love the stuff and eat a lot! Comfrey is always a good plant to have around for your gardens and rabbits. Rabbits will eat comfrey even when off feed and get their appetite back, it is also a great tonic! Can you not start comfrey from seed?